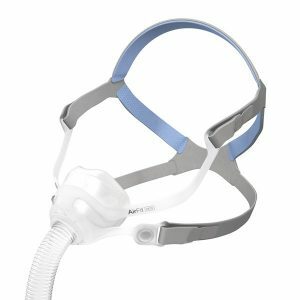 The Resmed AirFit P10 Nasal Pillow CPAP Mask is ultra lightweight; extremely quiet all the while maintaining a simplistic design. It is 50% quieter and 50% lighter than its predecessor. 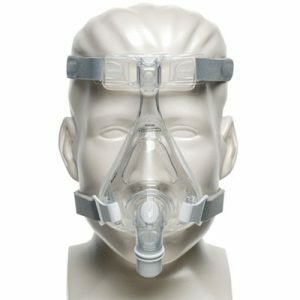 Resmed AirFit P10 Nasal Pillow CPAP Mask is one of its quietest masks. It is 50% quieter and 50% lighter than its predecessor and has been shown to deliver more than 40 minutes of additional sleep per night. 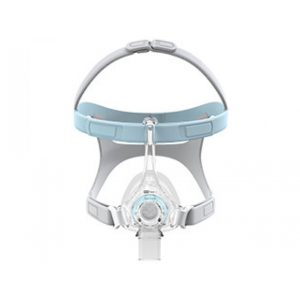 The AirFit P10 Nasal Pillow CPAP Mask is ultra-lightweight; extremely quiet all the while maintaining a simplistic design. This mask comes with three size nasal pillows – small, medium and large. 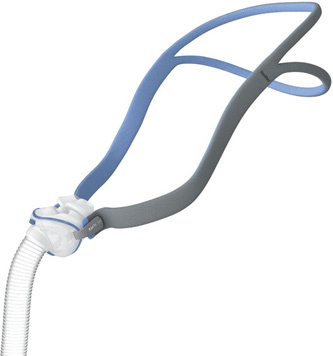 A “For Her Version”, – AirFit™ P10 For Her Nasal Pillow CPAP Mask with Headgear is also available. It is so comfortable and effective, it won a world-coveted Red Dot Award for excellent product design. New QuietAir™ woven-mesh venting gently directs away exhaled air, so it’s barely noticeable to you and your partner. 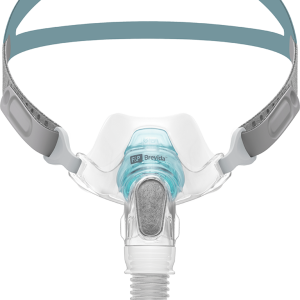 In fact, the ResMed AirFit P10 is approximately 50% quieter than our leading nasal pillows CPAP mask. Designed to be as comfortable and unobtrusive as possible, the ResMed AirFit P10 is also 50% lighter than our previous nasal pillows CPAP mask.1 The revolutionary new flexi-tube is ultra-light and highly durable, letting you move around freely without compromising the mask’s seal. The ResMed AirFit P10’s minimalist three-piece design makes assembly, fitting and cleaning a breeze. Key-clip nasal pillows feature color-coded sizing and left/right-orientation for fast and easy fitting. The mask easily slips on and off without any extra steps. The mask seals on contact, with trampoline action that lets you move around comfortably without compromising the mask’s seal.